During the clubday, a workshop was given on How to Build sailing ships, a project initiated by Maxim Illegems and friends. 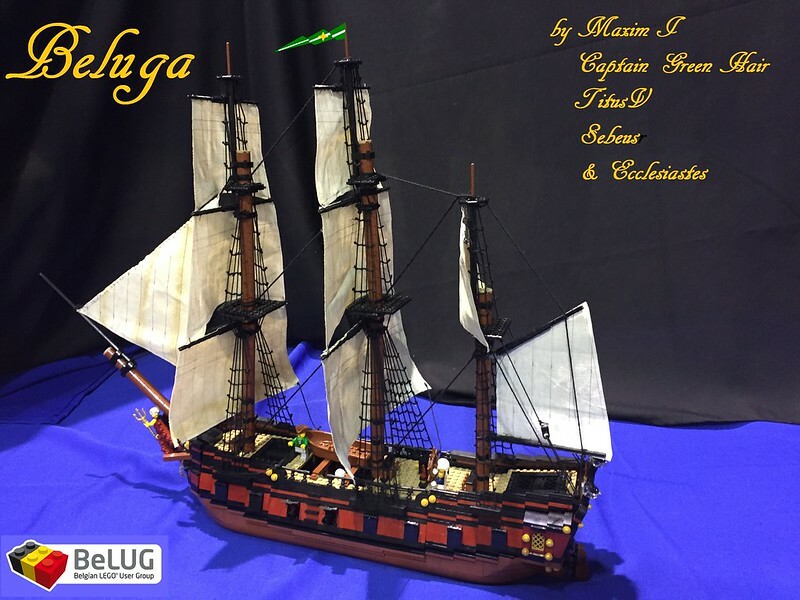 The ship was "sponsored" for parts by BeLUG as such, and wouldbe on display at the huge Pirate lay-out of Brick Mania Antwerpen 2016. 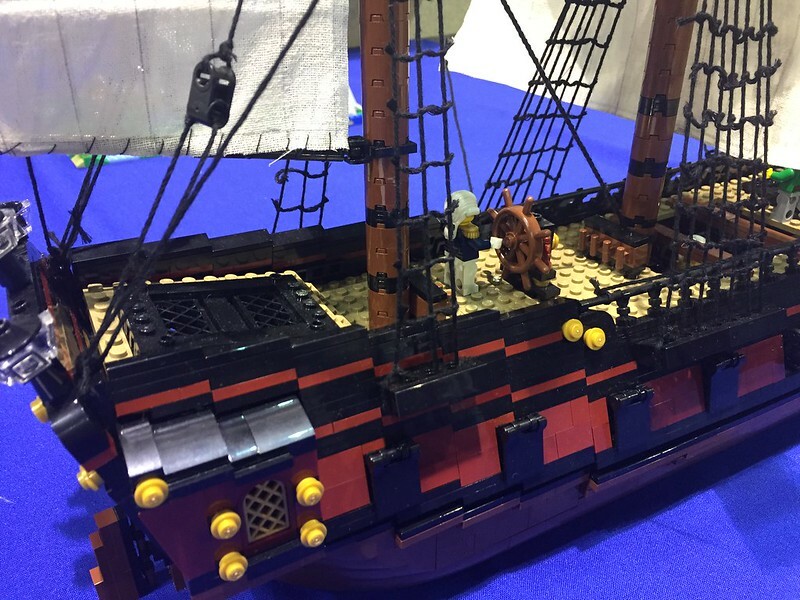 This lay-out, containing a lot of participants from different countries, had heaps of participants and a lot of Brethren of the Brick Seas "celebrities". 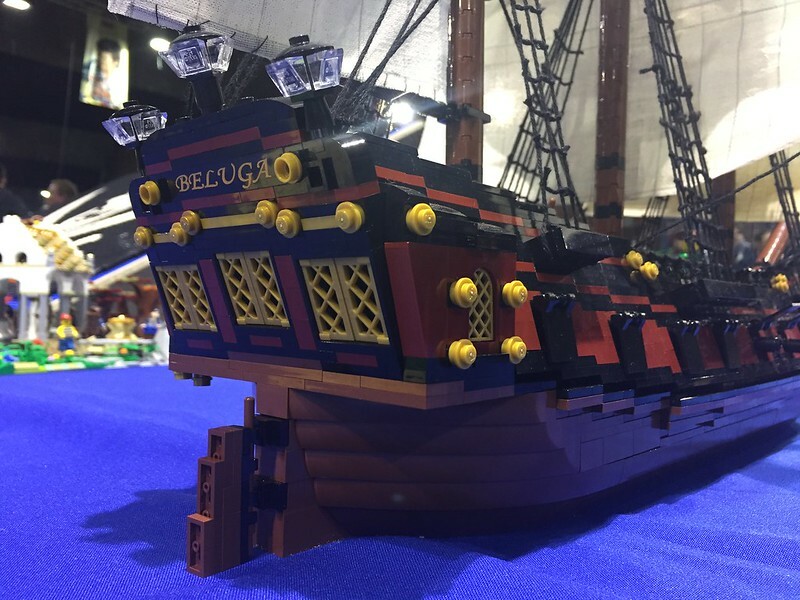 What happens when some of the best builders in the world decide to build a fregate together? 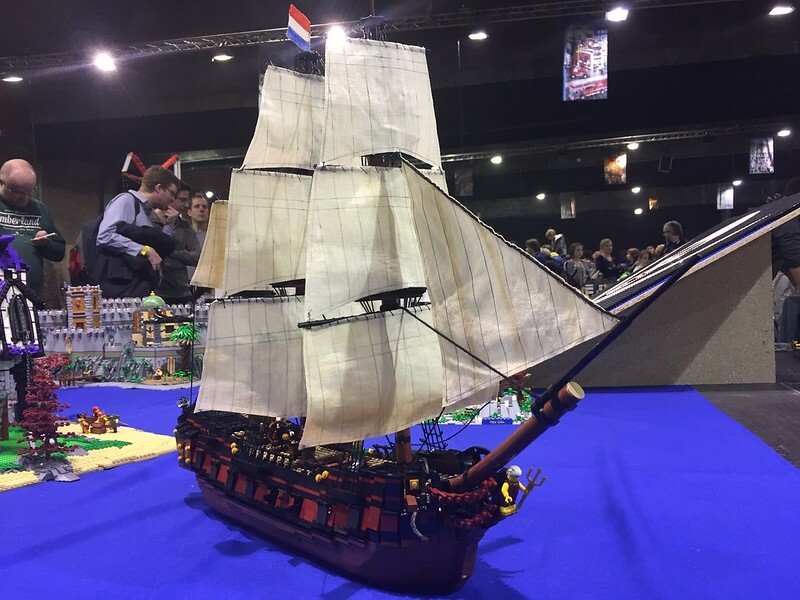 Anyway, a succesfull clubday and a few additional meetings later (with the necessary food and beer), she was ready to be showed at Brickmania Antwerp. Thanks a lot to everyone involved in this project!